Just as planned, the week was devoted to alt gameplay. The newest acquisition is today’s morning Jagda the Dark Iron – completing 1/3 of the last zone Drustvar has made her 120. As always, there is an arm-long list of what must be done, lots of questlines to finish and complete. But naturally she delves into preparing for raiding as her core gameplay. Melaris the Demon Hunter has crossed the 320 border on Saturday, and immediately went off for endgame: naturally Uldir and warfronts plus world quests of choice and emissaries. 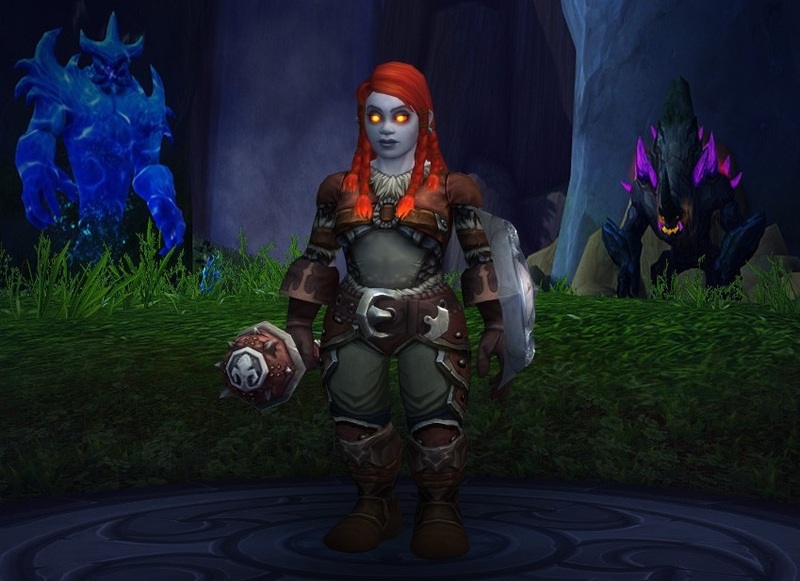 This session has brought her from 315 to 339 in one sit – yes, Blizzard loves alts in this expansion, and the range of options to gear up is really stunning. As she grows in power, so do the emissary and world quest awards with a daily reset – I don’t even need to wait for another week to prepare her for Dazar’Alor. 11 ilvls to go, and it’s not much! Kargash the Maghar Fire Mage has finished Vol’dun in full, and is now 114. Leveling her up would be my natural focus this week – 120 asap to join the others on the new raid. On Wednesday evening there will be my first entrance to Dazar’Alor – I’m planning to witness the first wing of the raid on both factions. Micromantica and Schlitzchen will be my natural flagships for the initial experience – as always, I prefer to learn the encounters from DPS perspective. I think they both will have the Light boss, the Fire Mage/Monk couple, and Grong. The other toons attuned to the raid will naturally follow – the new sets won’t farm themselves. Of course I will be writing my traditional ‘A Peep into [Wing]’ posts, throughout February. Even if I would like another week to get all my alts prepared for the raid, I’m all set and ready. Bring us the siege!